Make a bare GITrepository. That is, instead of creating <directory> and placingthe administrative files in <directory>/.git, makethe<directory> itself the $GIT_DIR. This obviously impliesthe -n because there is nowhere to check out the working tree. Also thebranch heads at the remote are copied directly to corresponding localbranch heads, without mapping them to refs/remotes/origin/. When thisoption is used, neither remote-tracking branches nor the relatedconfiguration variables are created. git config --global core.editor "\"C:/Program Files (x86)/GitExtensions/GitExtensions.exe\" fileeditor"
你也可用‘medium','full','fuller','email' 或‘raw'. 如果这些格式不完全符合你的相求， 你也可以用‘--pretty=format'参数(参见：git log)来创建你自己的"格式“. | * 420eac9 : Added a method for getting the current branch. | | | * | 0a7d387 : Removed debug print. | | | * | 4d6b69c : Fixed to close opened file description. | * | | ba23640 : Fix CommitDb errors in test (was this the right fix? 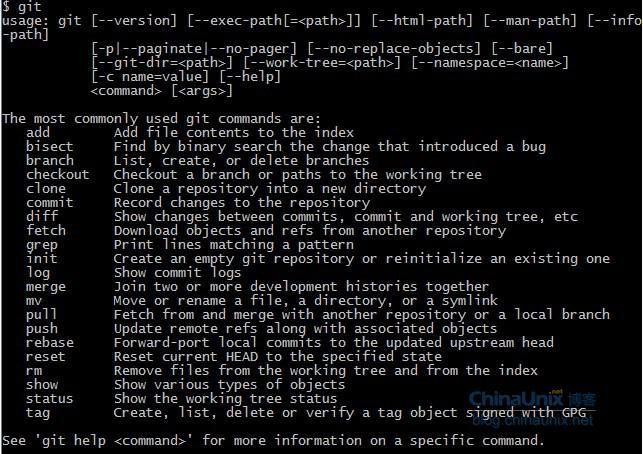 使用“git status” 命令是查看索引内容的最简单办法. 你运行 git status命令, 就可以看到: 哪些文件被暂存了(就是在你的Git索引中), 哪些文件被修改了但是没有暂存, 还有哪些文件没有被跟踪(untracked).